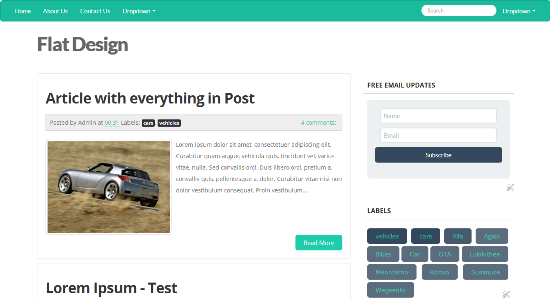 Another free blogger template powered by twitter bootstrap. It is making use of flat design(powered by flatly). Download flat UI flat design blogger template.